The ABA invites nominations for the E. Smythe Gambrell Professionalism Awards. The awards recognize legal professionalism programming; each award carries a $3,500 cash prize. See nomination form and instructions and a description of past Gambrell Award Recipients. Nomination deadline: March 31, 2015. The E. Smythe Gambrell Professionalism Awards are bestowed annually by the ABA Standing Committee on Professionalism. The Awards honor excellence and innovation in professionalism programs by law schools, bar associations, professionalism commissions and other law-related organizations. The Gambrell Awards were established in 1991 and are named for E. Smythe Gambrell, ABA and American Bar Foundation president from 1955 to 1956. Gambrell founded the Legal Aid Society in Atlanta, where he practiced law from 1922 until his death in 1986. 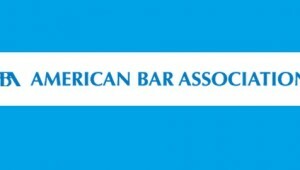 Questions regarding the awards should be directed to Paul A. Haskins, Lead Counsel at (312) 988-5175 or via email:Paul.Haskins@americanbar.org.